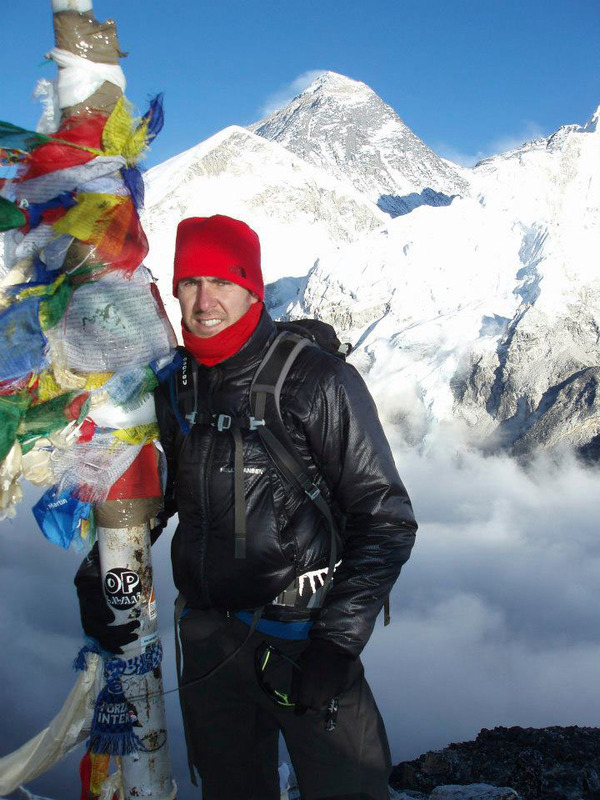 A POPULAR Letterkenny businessman will tomorrow (Saturday) commence his attempt to become the first Donegal person ever to summit the world’s highest and most dangerous mountain – Mount Everest. Mr Jason Black (42), who runs Voodoo nightclub along with his wife Sharon, hopes to plant the Donegal flag on the North East ridge of Everest (29.028ft) some time within the next 50 days. If successful, he will become only the 38th Irish person to conquer Everest. Speaking to the Donegal News from Kathmandu, Nepal, yesterday, Mr Black said he is on the verge of putting a lifetime of training into practice. “I am standing here in Kathmandu on my 42nd birthday, looking up at the top of Mount Everest and trying to picture myself there with my Donegal flag – I could not be happier, this has been a long time coming,” he said. Mr Black has been a keen mountaineer from a very young age through the 1st Letterkenny Cubs and Scout troop, an introduction he firmly believes has fuelled his love for the great outdoors. Coupled with a meeting 20 years ago with the first Irish man to summit Everest, Dawson Stelfox, Jason was bowled over with the energy, the inspiration and the sense of adventure of the highest place in the world. He will attempt to solo the North Ridge with his climbing sherpa, Nima Gombu. Their route begins from the north side of Everest in Tibet. To read this full story visit your local newsagent and pick up your copy of this Friday’s Donegal News.